Just look how sad that would be! 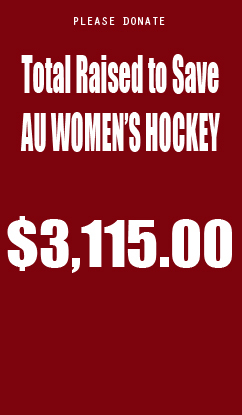 Please donate & turn us BACK into HAPPY, HOCKEY PLAYERS! Read "our words" for inspiration, THANKS! Be sure to donate to AMERICAN and write NICOLE in the DESCRIPTION BOX. Be sure to donate to AMERICAN and write JULIA in the DESCRIPTION BOX. Be sure to donate to AMERICAN and write ANNIE in the DESCRIPTION BOX. Be sure to donate to AMERICAN and write ELLEN in the DESCRIPTION BOX. Be sure to donate to AMERICAN and write PUJA in the DESCRIPTION BOX. Be sure to donate to AMERICAN and write CAITLYN in the DESCRIPTION BOX. Be sure to donate to AMERICAN and write JENNY in the DESCRIPTION BOX. Be sure to donate to AMERICAN and write SATCHA in the DESCRIPTION BOX. Be sure to donate to AMERICAN and write SAMMI in the DESCRIPTION BOX. Be sure to donate to AMERICAN and write GINA in the DESCRIPTION BOX. Be sure to donate to AMERICAN and write EMILY in the DESCRIPTION BOX. Be sure to donate to AMERICAN and write AMANDA in the DESCRIPTION BOX.